Parkd (ASX: PKD) is the developer of a proprietary lightweight concrete car parking system. Characterised by its modular components, the ‘Parkd Car Park System’ may be deconstructed and transferred between locations. It also provides optimal efficiency for internal space, and can be reused or altered such that it caters for up to six levels of parking. 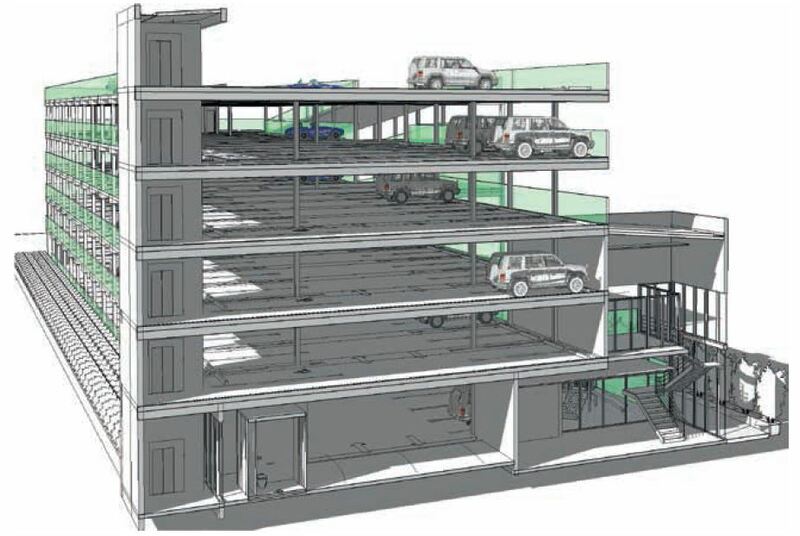 The primary benefits of the car park system stem from the lower costs and reduced turnaround associated with prefabrication. Despite being manufactured offsite, the system conforms to the relevant structural engineering requirements for the industry. Parkd has also been granted an innovation patent, with a provisional patent covering the structure of the system. From a commercial perspective, revenue may be earned by leasing the system, licensing the system, or through owner-operator arrangements for individual developments. Parkd will continue to develop and commercialise the system, while also targeting sales agreements with end users through increased marketing and client engagement. To date, Parkd has signed a delivery contract with a Subaru dealership in Perth for a single level car park on a ‘trial’ basis. Beyond its primary target market for retail car dealerships, the company intends to promote its parking solution to a wide range of industries where it may be used temporarily or permanently. These markets include the following applications: hospitals, shopping centres, car park operators, airports, universities, public transport hubs, and construction sites. The IPO will see 30m new shares issued at $0.20 per share, for a raise of $6m. No oversubscription facility will be run, and the offer is not underwritten. Mac Equity Partners will act as Lead Manager for the IPO, which subject to full subscription, is scheduled to close November 24. Following the IPO, Parkd plan to use the majority of proceeds to develop its car parking system over the course of two years. Other funds have been set aside for corporate administration and working capital during this timeframe, as well as the costs of the IPO. Before the offer, 41.4m shares were on issue to existing investors, including founders and directors. Upon listing, PKD will have a market cap of $15m, which includes a $9m enterprise valuation. Among the existing shares, those issued to related parties on a non-cash basis will be subject to 24 months escrow from the time of their listing. Some of those issued to non-related seed investors will be escrowed for 12 months from the time they were issued. Options issued to directors, founders and the Lead Manager have an exercise price of $0.30, with an expiry date of December 1st, 2020. An additional maximum of 18.725m entitlement options may be quoted on the ASX and issued to investors based on loyalty conditions 3 to 6 months after listing. These entitlement options will be issued on a 1:4 basis for $0.01 each, with an exercise price of $0.30 and an expiry date of December 31st, 2019.